Seven years ago, the Sigma Smart Women Society (SSWS) started, as one of the first female network in the IT and technology industry in Sweden. With the purpose to empower women in a male-dominated industry, the network has become a platform for inspiration and exchange of experience with female role models. The first SSWS was held in Gothenburg and became an immediate success that attracted nearly 200 participants. Since then, the network has grown significantly. SSWS is currently active in six locations and gathers up to 1,800 women every year. The list of speakers this spring includes many well-known women, and as soon as the invitations to the events was sent out, the notifications with sign ups started to roll in, something that does not surprise the organizer. - We are incredibly happy to be able to offer such a strong list of speakers for our spring meetings. There is a tremendous interest in meeting and getting inspired by successful women, and we have grasped that moment, says Beatrice Silow, who is the Communications and Cultural Director at Sigma IT Consulting, and also the initiator of SSWS. It feels great that we have both local role models and women who are well known throughout the country. A very good mix that shows how many successful women there are in Sweden and who deserve to be seen and heard more. One of the most well-known speakers at SSWS this spring is Ishtar Touailat, who participates at the event in Karlskrona. She is known both inside and outside Sweden's borders, has been appointed Super Talent, IT-woman of the year and one of the industry's most powerful women and the future female leader, to mention some of all awards. SSWS in Helsingborg will host Catarina Englund, Global Sustainability Innovation Manager at IKEA Group and in Linköping, Johanna Palmér will speak. She is CEO at the East Swedish Chamber of Commerce and appointed Leader of the Year 2018. 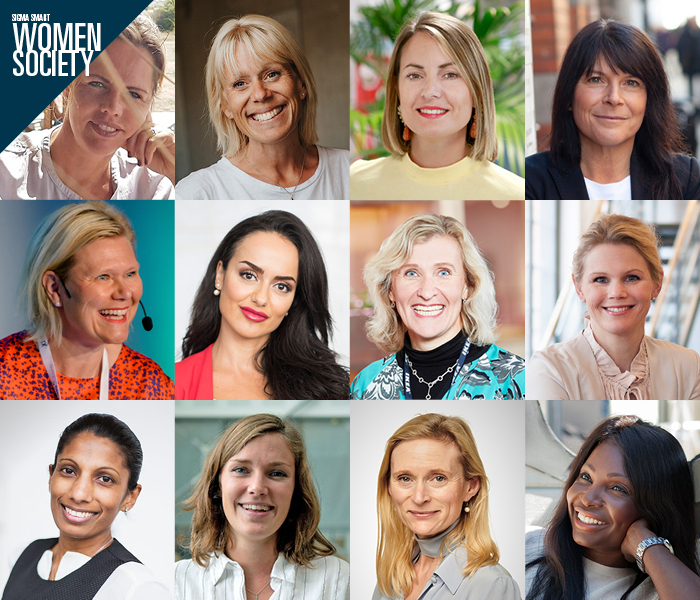 SSWS in Göteborg will be inspired by Miriam Márkus-Johansson, CEO of Miljöbron, and Ulrika Ahlqvist, founder of Hjärnberikad, who together shed light on sustainability from two perspectives. At SSWS in Stockholm the Star for Life choir gives an introduction to their acclaimed tour before the speakers Leyla Sarac, founder of DigitalTolk, and Teresa Afonso Leimdörfer, owner of the Ringens traffic school and founder of the Gold Wheel, enter the scene. SSWS in Malmö presents Sara Sterner, Chief Growth Officer at Orbital Systems. And finally, Louise Dyrendahl will talk about how to enable innovation in workplaces. In addition to the above speakers, several of Sigma IT Consulting's employees also participate in the events and talk about their experiences from the IT industry. –Equality is a central issue for us at Sigma. SSWS is not a one-off event, we have hosted it for many years and believe in a long-term perspective. Through SSWS I know that we have made a difference and clearly demonstrated that IT is an exciting industry with lots of opportunities for women. And we are constantly working to increase the number of women in the industry, Beatrice Silow concludes.